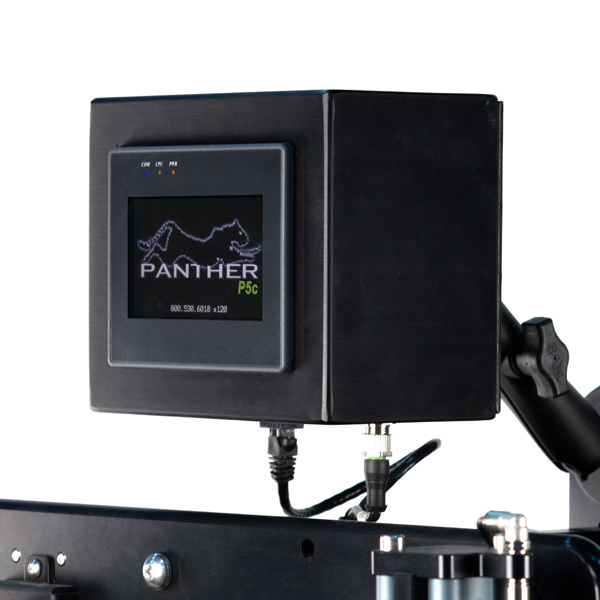 Contact us today and learn how Panther's P5c can immediately elevate your manufacturing, distribution, or fulfillment processes to increase throughput, reduce expenses, and decrease waste/loss for your business. Small footprint for compact spaces. Multiple mounting configurations available (T-base stand shown). Remote-mounted touch screen display allows for flexible placement options. 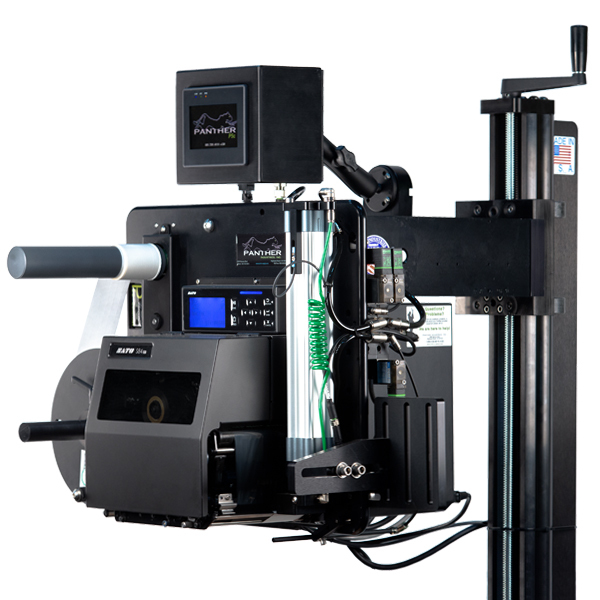 Designed to be the smallest, simplest, and most cost-effective automated print and apply solution available. 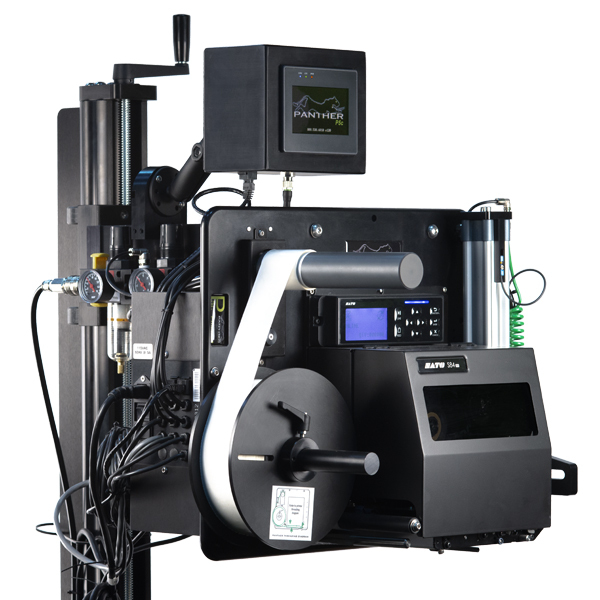 The compact size is perfect for custom machine builders. 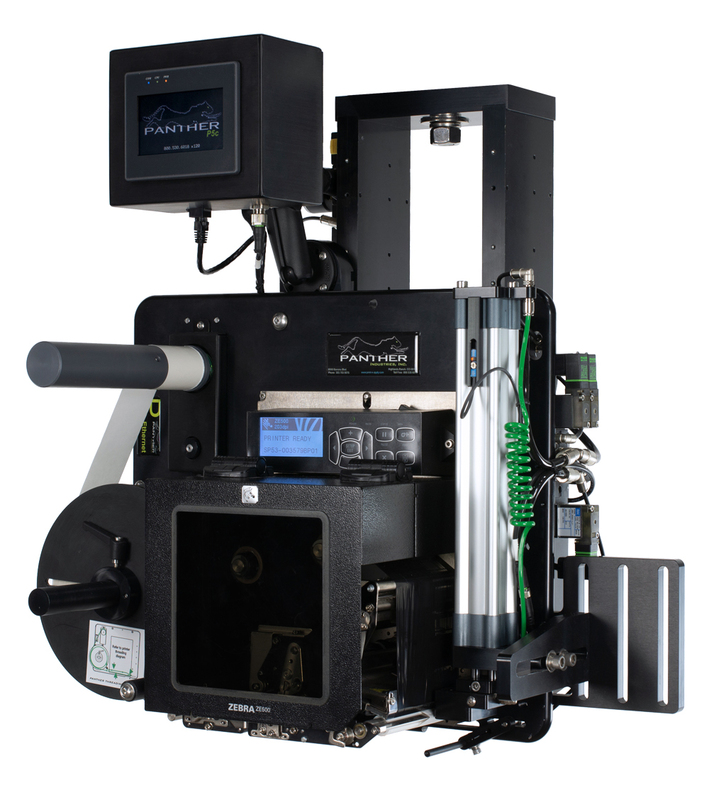 For front or back label applications, also configurable for top-apply labeling. Applies labels to a front or side location (or separately to both front and side), around a corner, or around a cylindrical/non-flat object.